"Drummer Louis Hayes, now 81, was playing with Cannonball Adderley in the late '50s, and Adderley brought the band to the South to perform at historically black colleges. Hayes, who was based in New York at the time, doesn’t recall any specific discrimination—but he does say they never stopped anywhere overnight outside of the universities. "It was five of us in two cars," he says. "We just changed drivers and kept going."" 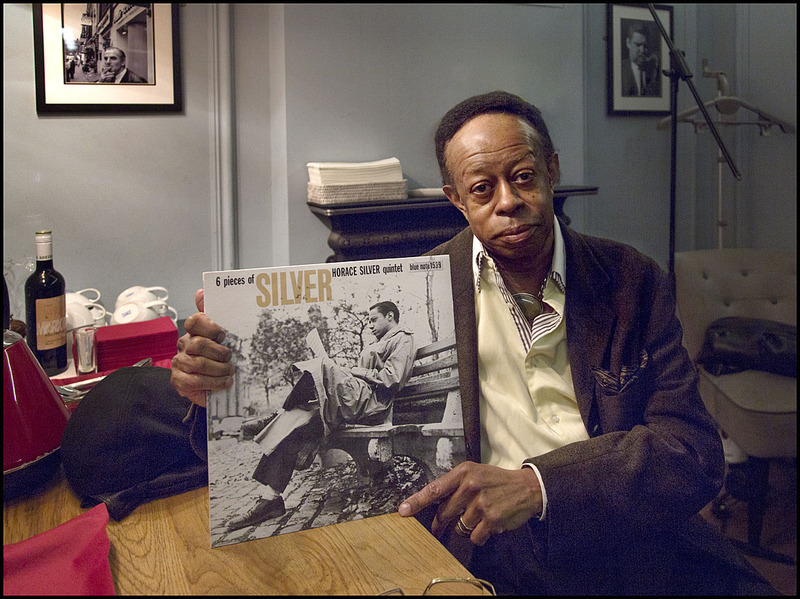 Horace Silver: 6 Pieces Of Silver: ONE LP is a project by photographer William Ellis in which musicians and other people in the arts are portrayed with a favourite album and tell why the recording is so significant to them. "This LP was recorded in 1956 with Horace Silver (I chose it) because it was my first. When I first came to New York I had the opportunity to record this album and I enjoyed all the music that he had written for it so it will always be one of the most special albums I’ve ever recorded - Horace Silver and all the musicians that participated on the album." Music by Prince's father featured on new album, tracking 'that DNA thing': John L. Nelson's daughter has produced a CD of his tunes played by jazz all-stars. "But this story is not about Prince; it's about his late father, John L. Nelson. His music is about to get discovered — or rediscovered — via a new CD lovingly put together by his oldest child, Sharon Nelson. It's called "Don't Play With Love” by the John L. Nelson Project. It features seven of his compositions interpreted by a top-notch instrumental band led by distinguished jazz drummer Louis Hayes, who has played with John Coltrane and Cannonball Adderley, among others, and happens to be Nelson's nephew..."
While drummer Louis Hayes has been known to take a solo or two -- it was two at the Kennedy Center's KC Jazz Club on Friday night -- he's more likely to drive from behind. 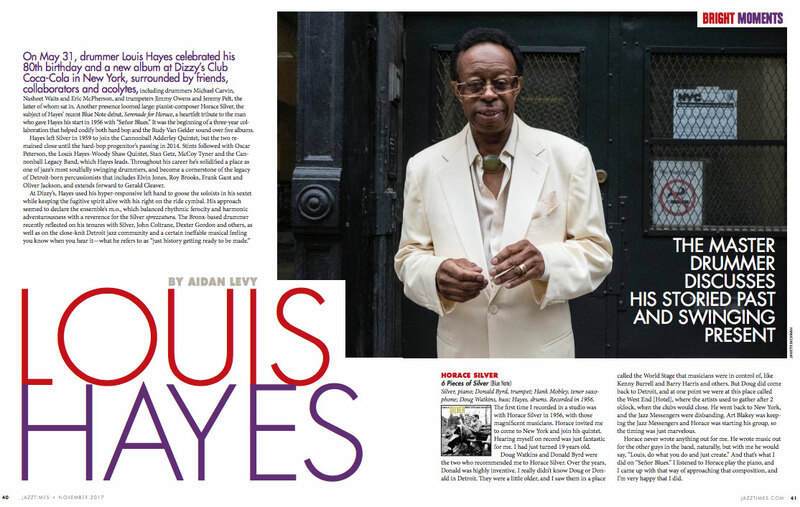 Best known for his stints in the 1950s with Horace Silver and in the 1960s with Cannonball Adderley and Oscar Peterson, Hayes is a catalyst, channeling his boundless energy into the band itself and being frugal with Blakey- and Roach-style pyrotechnics. As he demonstrated at KC, playing a supporting role doesn't mean he will be ignored. "Serenade for Horace," the first tune played by Hayes's quintet, featured hard-swinging solos by every other member: vibraphonist Steve Nelson; tenor saxophonist Abraham Burton; pianist Anthony Wonsey; and bassist Dezron Douglas. Hayes didn't need one himself. His personality was unmissable in his accompaniment, full of thudding bombs on his bass drum, accented change-ups on the snare and a ride-cymbal sound that was as much a lash as a hiss. His playing retained that character, and a fair bit of volume, throughout the set. But it never became domineering. Instead, it nicely spurred on Burton's mighty tirade on, for example, "St. Vitus' Dance." On "Bolivia," Hayes meshed with Nelson such that he and the vibist seemed to be playing a duet, the drummer adapting and accenting Nelson's rhythms with seeming telepathy. He didn't quite establish that level of rapport with Wonsey on what followed -- it was clearly a solo, belonging to the pianist -- but neither did he miss an opportunity to spice it up, raising the temperature on the ride cymbal and forcing Wonsey to respond in kind. Even on the set's ballad, "Darn That Dream," Hayes was difficult to miss. He switched to brushes and stayed away from Nelson's warm, declaratory lines, but his playing was ever-present, with a sensuous sweep at times offset with pitter-patter. He resumed stickwork on Wonsey's solo -- Burton laying out -- making the cymbal shiver, along with this listener's spine. All that said, Hayes did indeed take two solos, and if they showed impressive chops, they also, and perhaps more so, betrayed his fealty to the rhythms of the songs. Most of "Bolivia" found him rolling out the groove, just as he had been under the other soloists, albeit with more rack-tom and snare-drum rolls, before briefly coming to a boil near solo's end. 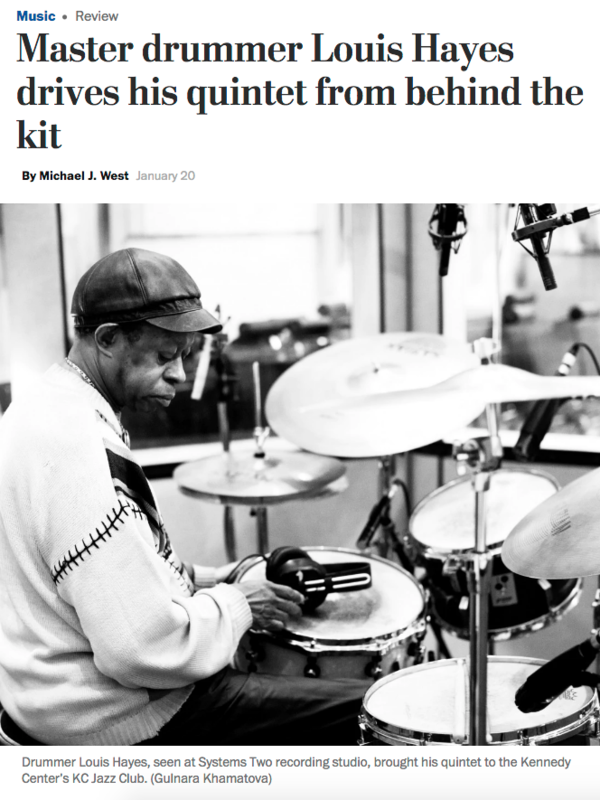 He did the same on the set-closing "Cookin' at the Continental," re-centering on a different drum with each of his eight choruses: a clever trick that masked how carefully Hayes maintained the tune's blues structure. 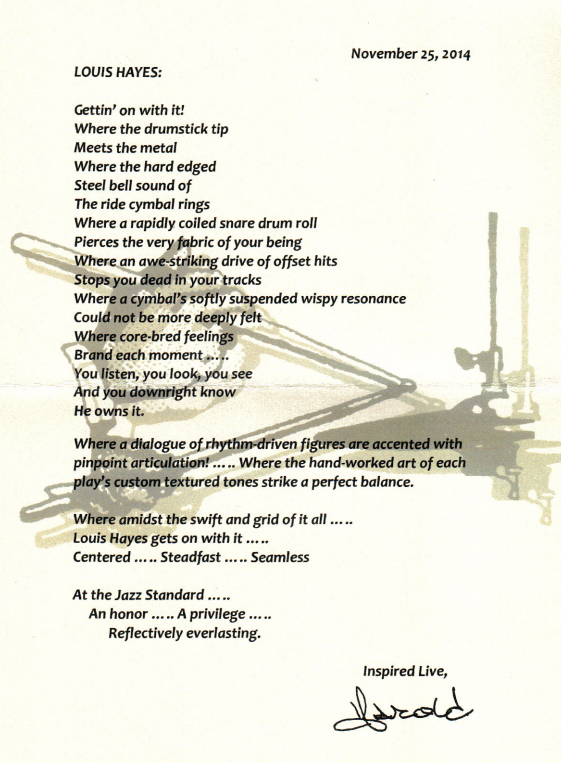 Two tasty morsels, but no more; a master drummer need not overwhelm to make an impact. 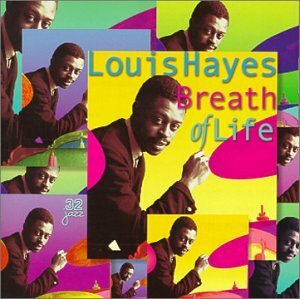 Louis Hayes arrived in New York at age 19; and over the next 60 years amassed a staggeringly great body of work. His collaborators have included: Cannonball Adderly, Oscar Peterson, John Coltrane, and many more of the giants of modern music. Louis talks to Joe about growing up in Detroit, lessons in manhood from Papa Jo Jones, the difficulties that come from being an uncompromising artist, and his new album dedicated to the great Horace Silver. Louis Hayes at Systems Two, Brooklyn. November, 2016. 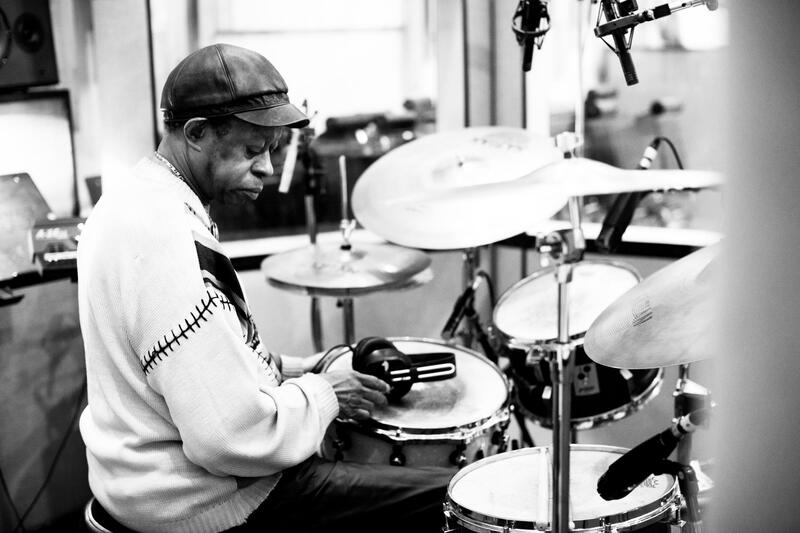 Louis Hayes has logged his share of session hours for Blue Note Records, as the impeccably swinging drummer for label stalwarts like Grant Green, Curtis Fuller and, indelibly, Horace Silver. Now comes his turn in the driver's seat: Hayes will make his Blue Note debut as a leader with Serenade for Horace, due out in May. He was all of 18, a recent transplant to New York City from his native Detroit, when he joined the Horace Silver Quintet -- first appearing on the 1957 album 6 Pieces of Silver, which yielded a hit single, "Señor Blues." Hayes went on to back Silver at the 1958 and '59 Newport Jazz Festivals, and provide the rhythmic fire on classic albums like Further Explorations by the Horace Silver Quintet ('58), Finger Poppin' with the Horace Silver Quintet ('59) and Blowin' the Blues Away ('59). This was a period of unsurpassed excellence for hard-bop, in terms of both artistic standards and commercial appeal. Hayes stayed at the center of the movement even after leaving Silver. 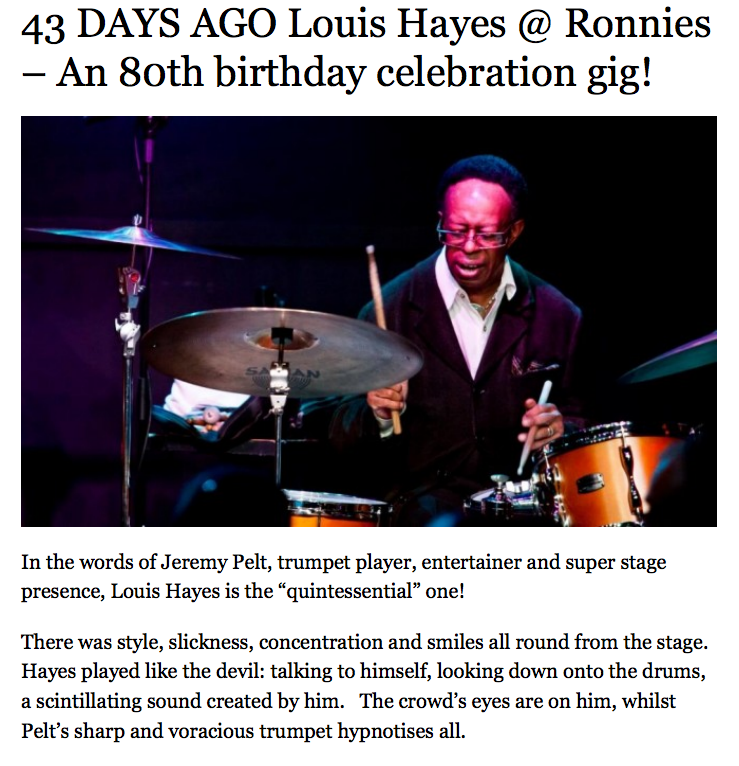 43 DAYS AGO Louis Hayes @ Ronnies - An 80th birthday celebration gig! DRUMMER LOUIS HAYES IS A MAN with a past and an eye on the future. 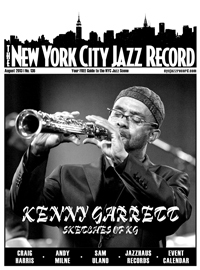 From the get-go, he has played with a stunning array of musical giants across multiple generations. In his early years, Hayes' hometown, Detroit, was bustling with players such as bassists Paul Chambers and Doug Watkins, drummer Elvin Jones, pianists Barry Harris and Tommy Flanagan and saxophonist Yusef Lateef. "They triggered my desire to play," he says. "I didn't just hear them and play with them; I also recorded with them. They were older than me, but I got to New York the same time as they did." Hayes steers away from the term "jazz," instead referring to "the creative art form" or "this music." At a time when legendary players and composers like Horace Silver, Cannonball Adderley, Joe Henderson, Freddie Hubbard and Woody Shaw were rising stars, Hayes was touring and recording with them. Of his role as a leader or a sideman on well over 100 albums, the veteran drummer says, "When you appear with someone, that's one thing. But when you record with them, it's history; and I feel very good about that." 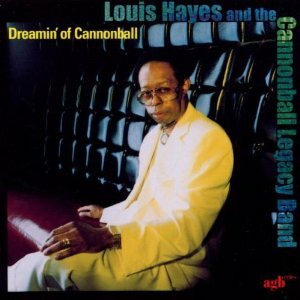 "It was an honor to play with Cannonball," declared Louis Hayes from center stage at Birdland (Jul. 11th), before taking his seat behind the drums. From there he powered his Cannonball Adderley Legacy Band (with alto saxophonist Vincent Herring, trumpeter Jeremy Pelt, pianist Rick Germanson and bassist Dezron Douglas) with a combustible strength that belied his septuagenarian status while testifying to his six decades of experience, which have included tenures with Horace Silver, Oscar Peterson and Freddie Hubbard, as well as Adderley, with whom he spent five years (1959-64) playing one of the most popular repertoires of its day. Of the great saxophonists of 1950s and 60s, one of the best--if historically under-rated--was altoist Julian "Cannonball" Adderley. With a soulful sound born from his southern gospel roots, Cannonball's career exploded in the late 50s when he joined Miles Davis' sextet, progressing to his own bands with brother cornetist Nat and pianist Bobby Timmons. His exuberant hard bop resulted in many acclaimed Blue Note and Riverside recordings, but his later, commercial work on Capitol--for better or worse--has been more associated with the soul music movement than serious jazz. As a result, Cannonball Adderley has been relatively under-appreciated by most jazz historians. Says his old Riverside producer, Orrin Keepnews, "his work is considered relatively invalid because it's popular. An awful lot of the soul music nonsense of that period was rightly or wrongly attributed to him and his success... There is continuous evidence of musical intelligence and sensitivity in his work. He is one of the most impressive ballad players. He was never in any danger of being swallowed by that soul stuff." 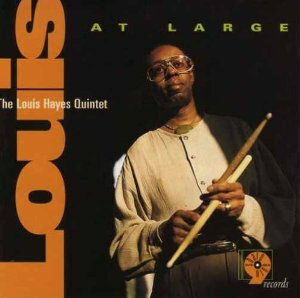 For Louis Hayes' first domestic release in nearly 20 years the veteran drummer assembled a group consisting of tenor saxophonist Javon Jackson, trumpeter Riley Mullins, pianist David Hazeltine, and bassist Santi Debriano, took them into the studio, and recorded this collection of no-nonsense, high energy hard bop. 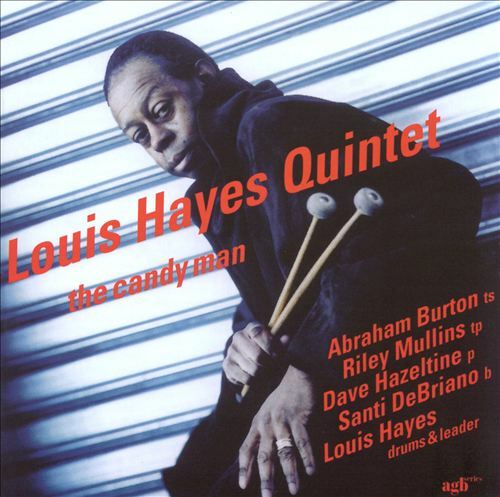 Best known for his stints in the groups of Horace Silver (1956-59) and Cannonball Adderley (1959-65), Hayes is at his cymbal ridin', snare drum poppin' best, and the other musicians are up to the task, with Mullins' go-for-broke, high note filled solos giving Louis at Large much of its flavor. Favorites include the uptempo burners "Check In" written by Mullins and Hayes, and Mullins' "Hen and Hub," dedicated to Hayes' former bandmates Joe Henderson and Freddie Hubbard, the bop blues "Teef," which also appeared on Hayes' self-titled 1960 debut recording, and an uptempo arrangement of the standard "My Old Flame," with a medium tempo bridge throughout. This a welcome return to an American label for Hayes. 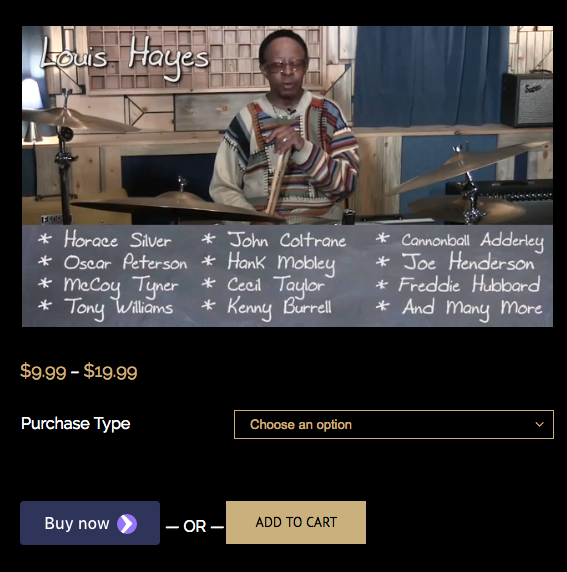 Many of drummer Louis Hayes' recordings as a leader have been recorded for European-based labels, so they have not gotten the attention they deserve in his native country, the United States. His sextet for this 1989 session includes pianist Kenny Barron, brother Gerald Hayes on alto sax, trumpeter Charles Tolliver, tenor saxophonist John Stubblefield, and bassist Clint Houston, all of whom are in excellent form. Surprisingly, Houston contributed most of the originals to the date, including the exotic, swirling opener, "El Cid," the brisk samba "Geri," and the more easygoing samba "Saudade." The bassist and the leader collaborated on the hard bop vehicle "Una Max," a cooker that presumably could be a tribute to Max Roach, though there are no liner notes to give details about the background of each composition. Tolliver wrote the adventurous Latin theme "Ruthie's Heart," which showcases Hayes' capabilities very well. Barron's "Ibis" is the most lyrical original of the date, while an extended workout of the bittersweet standard "You Don't Know What Love Is" provides a breather from Latin rhythms. This rewarding date is worthy of wider recognition. "People do this kind of thing all the time," New York alto saxophonist Vincent Herring told Tuesday night's full house at Ronnie Scott's. He was talking about legacy jazz groups, celebrating long-gone stars. "But you can't do it right unless you have one legitimate legend in the band." 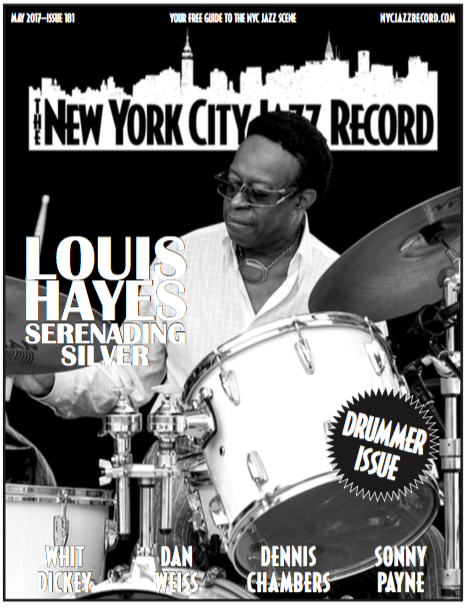 Herring only had to point to Louis Hayes, the dapper 74-year-old behind the drumkit. Hayes has played with the world's best (including John Coltrane and Oscar Peterson), but his most famous boss was the popular 1960s soul-jazz and blues saxophonist Julian "Cannonball" Adderley. Hayes has run his Adderley tribute band for years, but it always buzzes with vivacity. Influenced by Philly Joe Jones and mentored by Papa Jo Jones, drummer Louis Hayes is a jazz survivor and a swinging one at that. The one-time Detroit musician grew up listening to and eventually playing with such legendary performers as Yusef Lateef, Sam Jones, Kenny Burrell, Tommy Flanagan and so many others from that prosperous golden age of jazz in the Motor City. His longtime associations with many a jazz legend - including Horace Silver, Cannonball Adderley and Oscar Peterson - have solidified Hayes' living legend status at age 68, though he keeps as busy a playing schedule as he always has had. All About Jazz: You've been around working at it for around 50 years...Why drums and why jazz? Louis Hayes: I was introduced to this art form by my father - Louis Hayes, Sr. - (who) played drums and piano, though not professionally. So drums and piano were in the home; my mother also played piano and I had a cousin - another early teacher - who was a postman and a drummer. He and my father both led me toward this art form jazz: bebop. My father listened to this art form, so as a kid coming up I heard it all the time, (especially) the big bands. 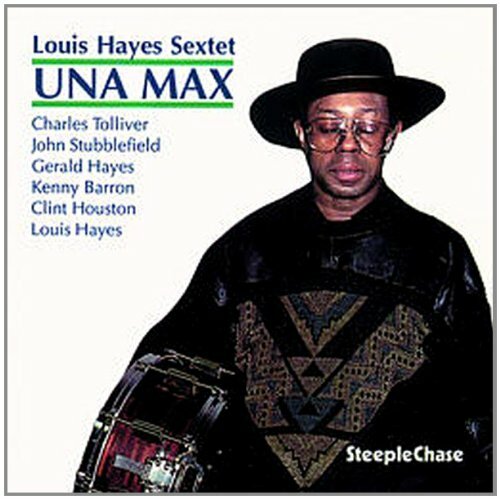 Louis Hayes, one of the best jazz drummers recording and performing today, has a pedigree that takes in his four years in the 'fifties with the Horace Silver Quintet (during which he appeared on the seminal Blue Note album "Blowin' The Blues Away") and collaborations with Julian 'Cannonball' Adderley and Oscar Peterson. From the 'seventies on he has led a number of outstanding groups, notably with Woody Shaw and more recently with David Hazeltine. Today, he is still working and performing out of The Bronx, New York. 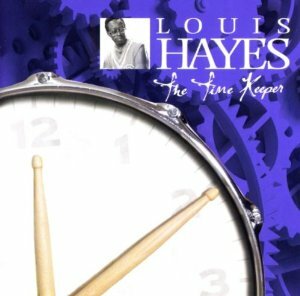 "The Time Keeper" features Louis Hayes' current working band - Louis Hayes (drums), Abraham Burton (saxophone), Helio Alves (piano), Santi DeBriano (bass). They are joined by Steve Nelson (vibraphone) on four tracks. There is a wealth of significant, high energy, self composed material that is centred on the best of hard bop with an intelligent and engrossing vibe. 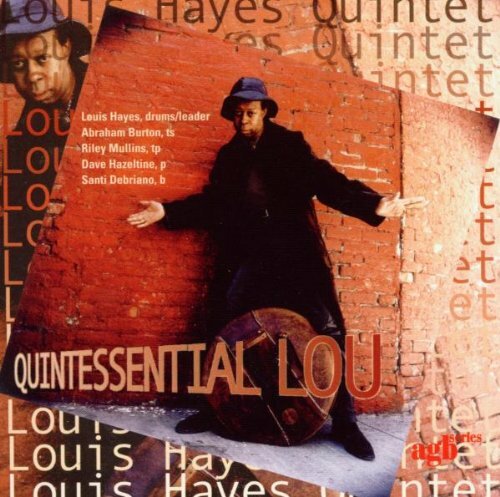 Louis Hayes' two pieces start the album - a reworking of "Check In", the Louis Hayes / Reilly Mullins composition that kicked off the 1996 Sharp Nine album "Louis At Large", and "Alani's World" with resonant doubled piano/ bass lines underpinning lyrical saxophone and Caribbean influenced drum rhythms. 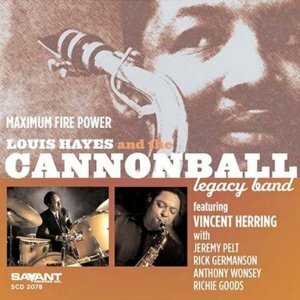 Louis Hayes has put together a superb Cannonball and Nat Adderley tribute band that has toured together for 3 years now. That is one half of the period that Hayes held down the drum chair in the Adderley's own band-1959 to 1965. I had the privilege to see the Tribute band back in 2003 live at Ronnie Scott's in London and marveled on how "tight" the band was in their inaugural year together with Vincent Herring in Cannonball's role and the brilliant Jeremy Pelt taking on Nat's duties. Rick Germanson was the pianist then and here on this new CD he shares the piano bench equally with one of today's hottest pianists, Anthony Wonsey. Maximum Firepower gets off to a blistering start on Quincy Jones' Jessica's Birthday with the front line horn men on a tear matched in intensity with pianist Germanson. Things don't let up on Bobby Timmons' hard bop classic, This Here. Herring has opening duties and then Pelt jumps in and shows why he is among today's hottest young trumpeters. It more than typifies this CD's title. Wonsey plays some blues lines to rival Timmons, before Herring and Pelt bring the song's theme back. 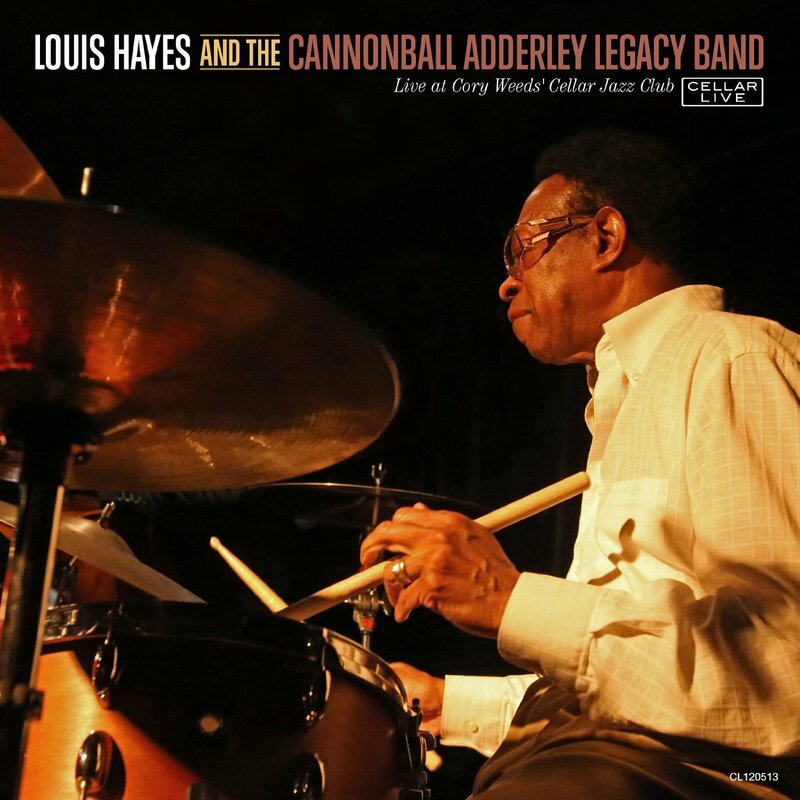 Drummer Louis Hayes' performing/recording days with Nat and Cannonball Adderley signifies a lineage here. Engineered by Rudy Van Gelder, this studio session benefits from a beefy analogue sound, witnessed during the days when LPs ruled the roost. Here, alto saxophonist Vincent Herring's lyrically-rich choruses cast a radiant glow. As pianists, Anthony Wonsey and Rick Germanson alternate duties throughout. And Hayes is in top-form via his slashing accents and buoyant sense of swing. He primes the ensemble while dropping some bombs along the way. The artists profess a zealous jazz vibe from start to finish. With Herring and trumpeter Jeremy Pelt's darting lines and tight-knit unison choruses, the band zips through selections culled from the Adderley brothers' register of favorites. They fuse a samba pulse on "This Here," where Pelt's brash and brassy soloing generates chutzpah and momentum. In other spots, the band tempers the flow, especially on Pelt's warm ballad - dedicated to Cannonball and Nat - titled "The Two Of Them." In sum, the quintet transmits either a cool breeze or they come right at you with brazen and snappy hard-bop motifs. More than just a retro type mindset, the musicians contemporize a panoramic slice of a legendary jazz unit with power and finesse. 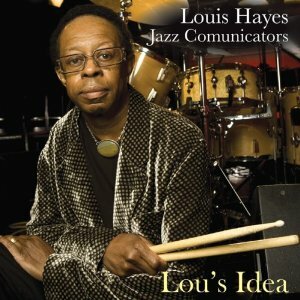 The first version of the marvelous drummer Louis Hayes' Jazz Communicators was only together a short time (1967-68), but that unit included two legendary players in tenor saxophonist Joe Henderson and trumpeter Freddie Hubbard. 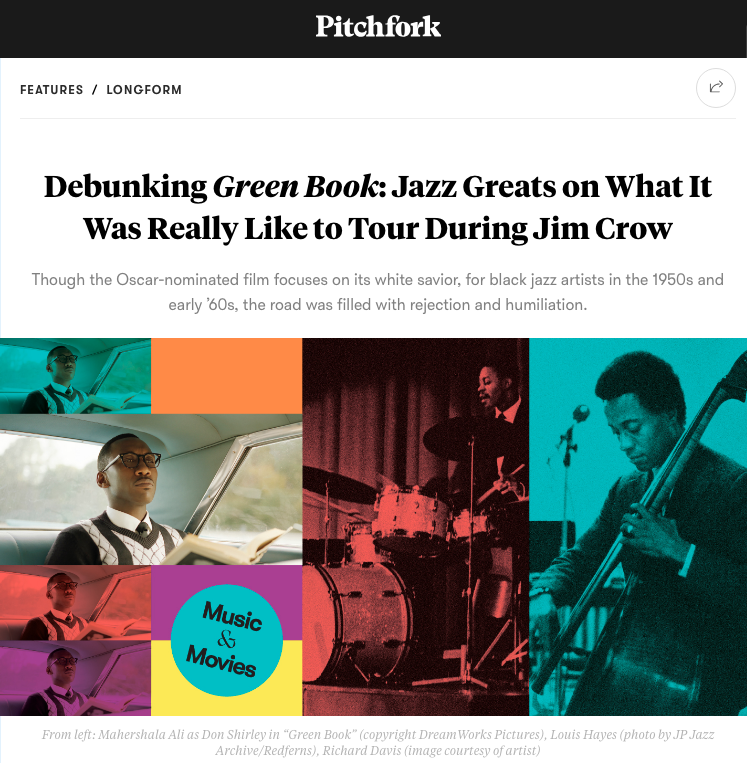 The latest edition's pedigree doesn't quite equal that of its predecessor, though the roster does include such accomplished musicians as tenor saxophonist Abraham Burton, vibraphonist Steve Nelson and bassist Santi Debriano. 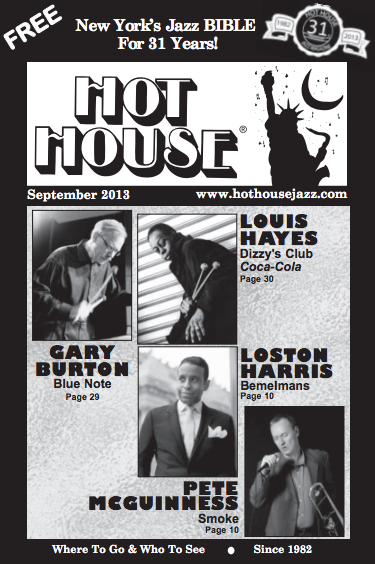 Of course Hayes is the dominant figure, and he's also on a select list of jazz's most exciting, imaginative drummers. 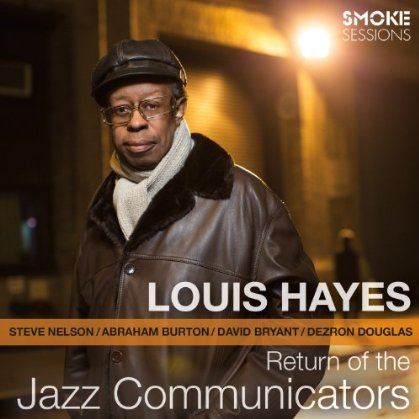 Though his array of session credits and band memberships (Yusef Lateef, Horace Silver, Cannonball Adderley, Oscar Peterson) is extensive and impressive, Hayes isn't exactly ready for retirement. His dynamic personality is a major reason why the Jazz Communicators' latest effort is mostly a strong one. While most people were at home watching the Jets lose to the Indianapolis Colts a small, but loyal following showed up to the Bassline for another "Sunday Serenade". 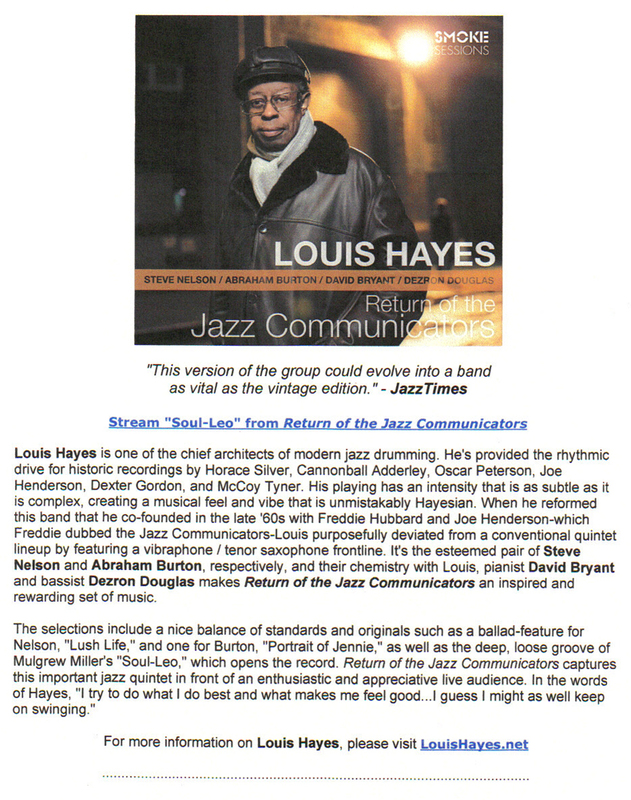 This time VTY Jazz was honoring the great Louis Hayes. This tribute featured tenor saxophonist Willie Williams who along with long time Louis Hayes bassist Santi Debriano co led this interesting quintet. The front line was shared with trumpeter James Zollar and rounding out the quintet was the amazing pianist Benito Gonzalez and drummer Chuck McPherson. The biggest surprise of the afternoon was the guest of honor himself showing up and accepting an invitation to sit in.